(SPOT.ph) Before 2018 ended, Ramen Nagi wowed everyone at their new concept, Wonderbowl by Ramen Nagi, with their most extravagant bowl yet: The Wonder Lobster Ramen, which comes with an entire lobster, shell and all. But, it also costs a whopping P1,500 per bowl which, while a pretty good deal for ramen that gets you an entire lobster, isn't exactly the easiest on everyone's budget. 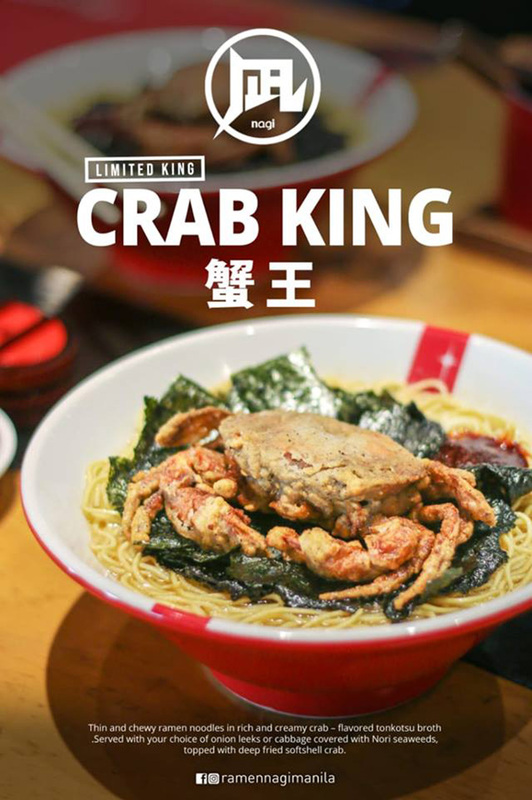 Lucky for you, Ramen Nagi just came up with an alternative that's just as tasty: The new, limited-edition Crab King (P480). 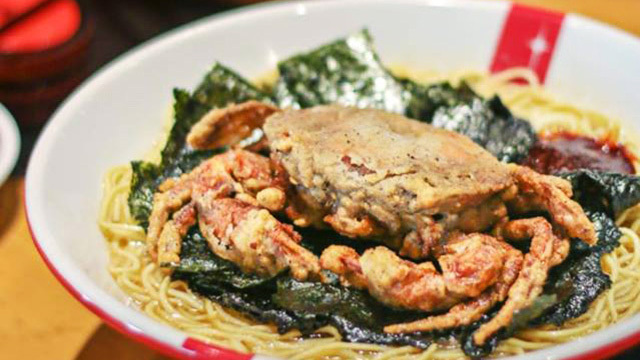 The Crab King comes with a rich and creamy crab tonkotsu broth, tender ramen noodles, nori flakes, and your choice between onion leeks or cabbage. But the real showstopper is the whole deep-fried soft-shell crab on top of every bowl. It's sure to sate your seafood cravings, and it's available at all Ramen Nagi branches.